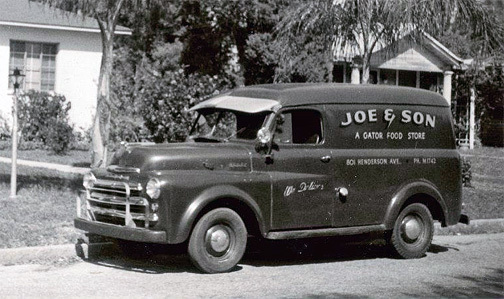 Joe & Son market at 801 Henderson Ave, 1955. This store was built between 1949 and 1952 to replace the original small wooden structure that was originally on the corner of Nebraska and Henderson Ave built in 1938. 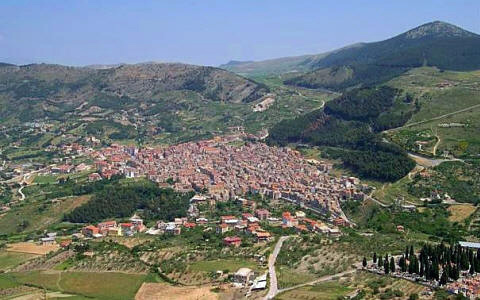 The Favata family heritage dates back to the 1800’s to the family’s olive farms in Sicily. 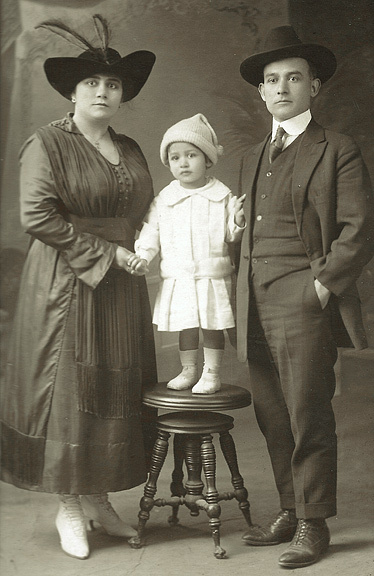 The Favata family immigrated to America at the turn of the 20th century and like many other Italian families, headed to the fast-growing port city of Tampa where a prosperous future awaited them. 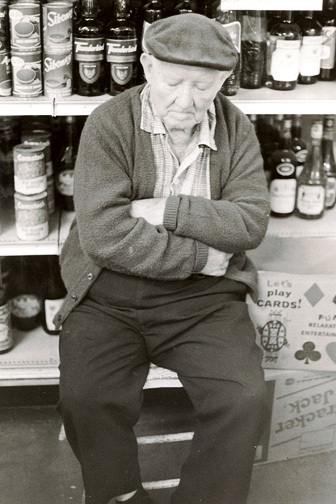 Giuseppe (Joe) "Pepito" Favata dreamed of having his own market and raising a family in America. Giuseppe "Joe" Francesco Favata was born Nov. 1889 in Santo Stefano Quisquina, a municipality in the Province of Agrigento in the Italian region of Sicily, located about 36 miles south of Palermo and about 21 miles north of Agrigento. 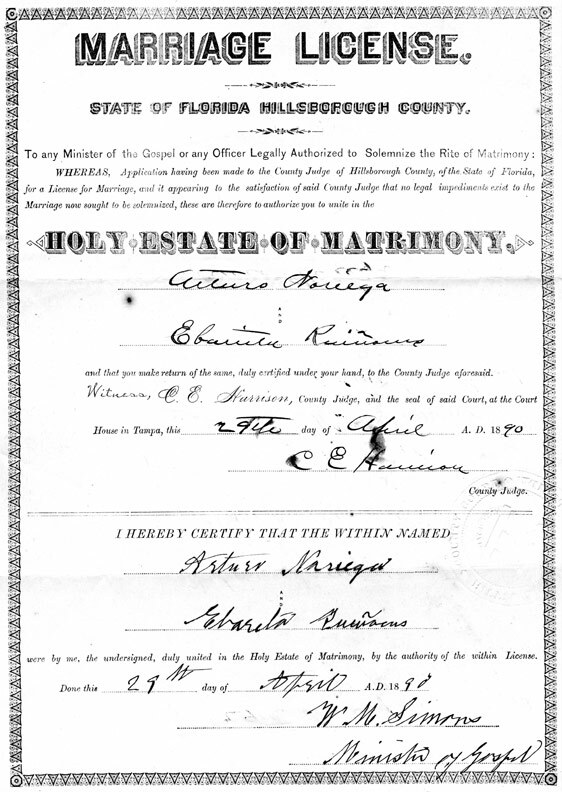 Various historical factors in the latter part of the 19th century led to the arrival of thousands of Italians in Tampa in the late 1800s and early 1900s. It was a period of difficult economic conditions in Italy and those who left were attracted by the promise of finding work in the Americas. 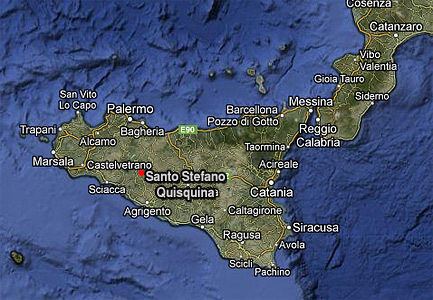 The overwhelming majority of Italians who immigrated to Tampa came from Santo Stefano Quisquina, Alessandria della Rocca, and a few other neighboring villages in the Val di Magazzolo, an area in southwestern Sicily in the province of Agrigento. 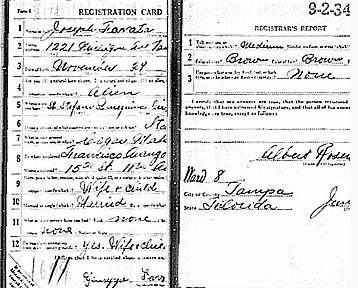 Joe Favata left Italy from the port of Naples on October 28th, 1904 on the S.S. Prinzess Irene, arriving at the port of New York on Nov. 14, 1904. He was 15 years old and had $15 on him. 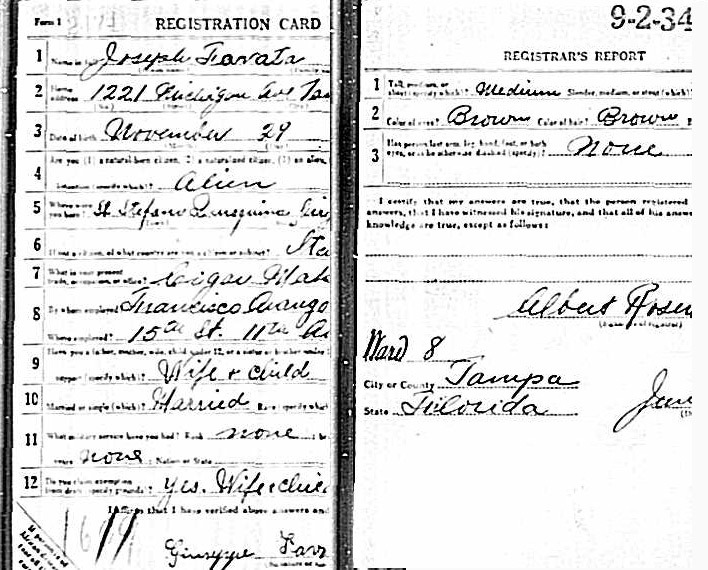 The ship manifest shows he paid for his own passage and was coming to Tampa to stay with his brother, Gaetano Favata at 1802 19th St. in Ybor City. See the image full size. 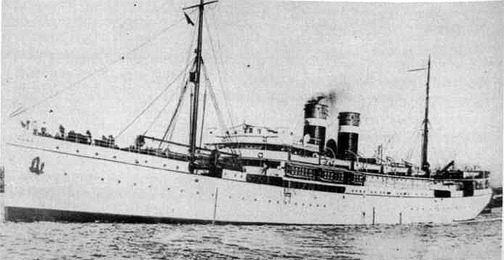 The S.S Prinzess Irene was a Norddeutscher Lloyd company steamship built 1900 at Stettin Prussia Germany (now Szczecin, Poland) by AG Vulcan. Launched as the Prinzess Irene, it was renamed the S.S. Bremen 1923 and renamed the S.S. Karlsruhe 1928. The Prinzess Irene was 523.5 feet long and 60 feet wide with a straight bow, two funnels, two masts, two propellers, eight quadruple engines and a speed of 15 knots. It could carry 240 passengers in 1st class, 162 passengers in 2nd class and 1,954 in 3rd class. The SS Roma was built by Forges & Chantiers de la Mediterranean, La Seyne, France. Tonnage: 5,291. Dimensions: 411' x 46'. Single-screw, 14 1/2 knots. Triple expansion engines. Two masts and two funnels. History: Launched, August 14, 1901. Had trial speed of 15.9 knots. Passengers: 50 first and 1,300 third. Made her final voyage to New York in 1927. Broken up for scrap in France, 1929. The 1910 census shows Guiseppe (Joe) Favata, age 17, living at 1802 8th Avenue along with his mother Maria, brothers Andre, Angelo and Gaetano, and sister Vincenzina married to Alfredo Duarte; they had been married for 5 years and had no children. Gaetano was 28 and came to the US in 1899. His wife, Dominga, was born in Florida; they had been married for 6 years and had no children. Joe's mother, Maria, was age 50 and widowed, she was the mother of 15 children with only 8 surviving by 1910. All family members were cigar makers except for Maria and her 9 year-old son Angelo. The enumerator misspelled Favata as "Fabata." By 1912, Gaetano Favata had entered into the grocery business with Domingo Ficarotta and operated a store called Favata, Ficarotta & Co. at 2002 9th Avenue. Living not too far from the Favata family, at 1221 Michigan Avenue (today's Columbus Drive), was Arturo and Evarista Noriega and their eight children, Lillian, Arthur, Mary, Nellie, Charley, Willie, Leia, and Margarita. Arturo was the proprietor of a grocery store where his son, Arthur, was a salesman. In 1910, Noriega operated a store at 1900 15th Street and on the southwest corner of Michigan Ave. and 13th Street, which was also the location of his home. 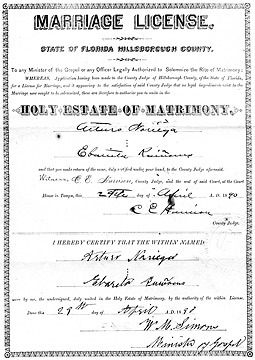 The Noriega family 1910 census shows Arturo and his wife Evarista were both natives of Cuba, with Arturo arriving in the US in 1874 and Evarista in 1887. All eight of their children, ranging from age 18 to 1 year old, were living in the home. Also in the home was Arturo's sister-in-law, Lavina Quiñones. See this record larger. 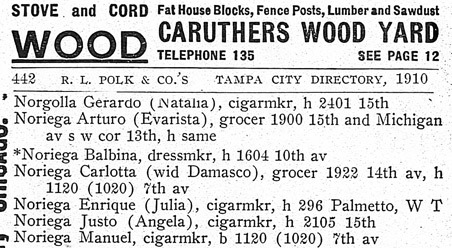 Arturo Noriega was listed as a grocer in Tampa's 1899 city directory. On Sept. 25, 1912, Joe Favata married Arturo's and Evarista's daughter, Mary Noriega. Their son John Favata was born in 1917. 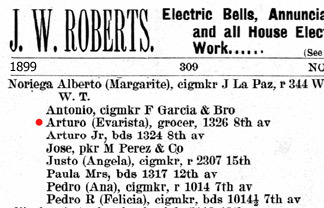 Joe and Mary lived for a number of years with Mary's parents, Arturo and Evarista Noriega, at 1221 Michigan Avenue, as seen in these city directories. By 1917, Joe Favata was earning a living as a cigar maker. By 1926, Joe Favata and his family had moved into their own home at 1216 15th Avenue. His brother Andrea Favata was living at 1710 E. Michigan Ave., a location where he lived for many years. The Giuseppe & Rosalia also listed at 1216 15th Ave. is a misprint, they actually lived at 1215 11th Avenue. Joe and his brother Andrea were still working as cigar makers at this time. Around 1927 or 1928, Joe's brother Andrea Favata took a job as a clerk working for Jack Castellano's grocery store at 1303 Nebraska Avenue. The 1928 directory shows Andrew and Mary Favata at their home at 1710 Michigan Avenue and Joe and Mary Favata at their home at 1216 15th Ave. 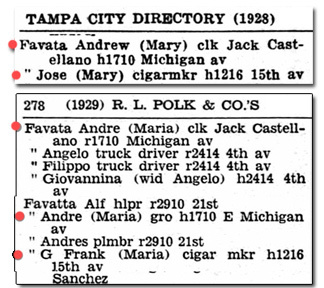 The 1929 directory shows Andrew Favata listed twice, once as Favata as a clerk at Jack Castellano, and once as Favatta, working as a grocer. Interestingly, Joe is listed as G Frank Favatta (Giuseppe Francesco Favata) with wife Maria at their home at 1216 15th Avenue. Joe was still a cigar maker. The 1930 census shows Andrew Favata at age 35 and the proprietor of a grocery store. His 1931 city directory listing shows that store at 1508 N. Nebraska Avenue which is at today's Nebraska Avenue and Kay Street. In 1932 and 1933, Joe Favata was working as a clerk and was listed each year as G. Frank Favatta, along with his wife Maria, at 1216 15th Avenue. In 1934 and 1935, Andrew was a salesman, and his employer was Joseph Favata. Joseph was listed twice in 1934, once as G. Frank Favata in his home at 1215 15th Ave. and again as Jos Favata, grocer at 1508 Nebraska and his home at 1215 15th Ave. The State of Florida took a state census in 1935. 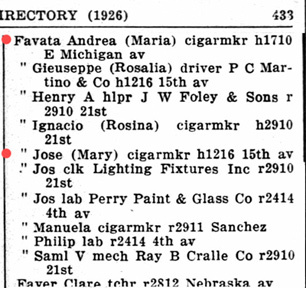 It shows Joe, Mary and their son Johnny at 1216 15th Ave. Joe was listed again as a cigar maker. 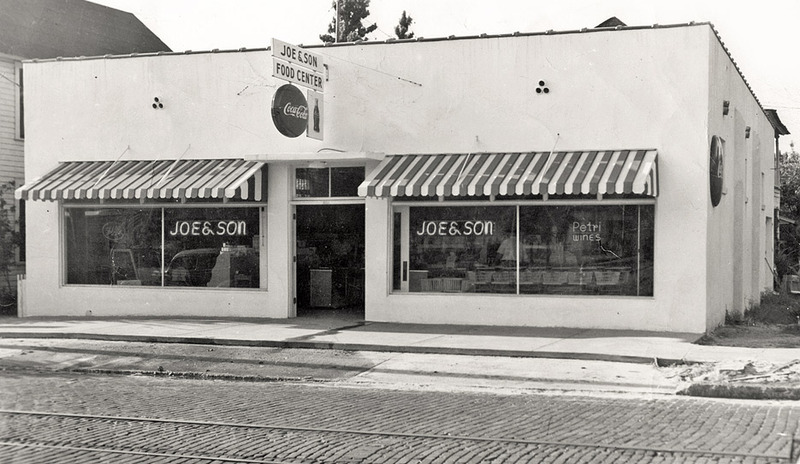 In 1938 Joe’s dream became reality when he decided to build his store in a thriving area of the city situated at the apex of three neighborhoods: Ybor City, Downtown and Tampa Heights, at the corner of Henderson Ave and Nebraska Avenue. This original store was a small wooden building that Joe later expanded with the construction of a larger store one block to the west, pictured at the top of this page, in 1955. 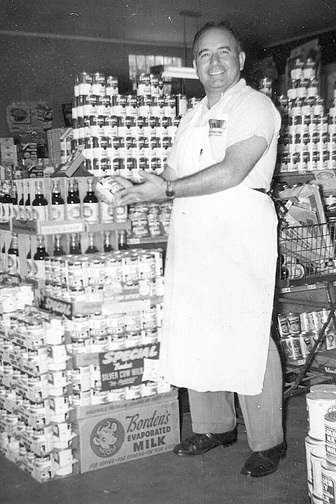 Along with his son John and wife Mary running the store, Joe's little Italian market became a local favorite for residents who depended on neighborhood stores for their groceries. Affectionately known as “Pepito” and his son, John, offered their customers the finest produce, meats, olive oils and grocery staples while focusing on providing excellent service to their customers. Customer satisfaction was their business philosophy and loyal customers were a testament to the service and products the family provided. 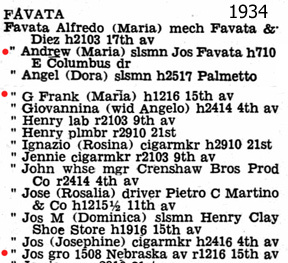 The 1945 Florida state census shows the Favata family still at 1216 15th Ave. Joe and John are merchants, Mary is a clerk and John's wife Lena is a housewife. John & Lena have a 2 year old daughter, Marilyn Favata. Joe's little Italian market quickly became a local favorite for residents who depended on neighborhood stores for their groceries. Along with his son John and wife Mary, Joe employed many of his family members. Affectionately known as “Pepito”, along with his son, John, they offered their customers the finest produce, meats, olive oils and grocery staples while focusing on providing excellent service to their customers. Customer satisfaction was their business philosophy and loyal customers were a testament to the service and products the family provided. 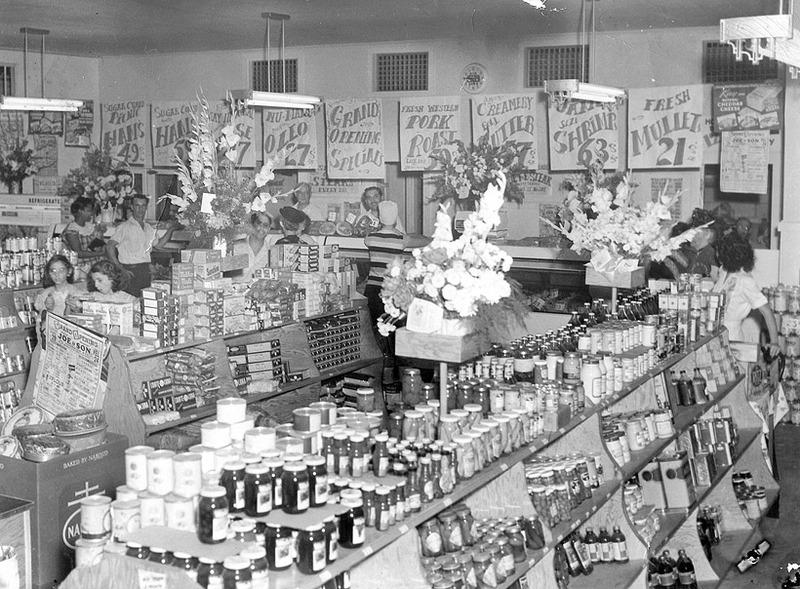 Joe & Son grand opening specials in 1951 included sugar cured picnic ham at 49¢ a lb., oleo at 27¢ a lb., fresh western pork roast at 59¢ a lb., jumbo shrimp at 63¢ a lb., and fresh mullet at 21¢ a lb. Place your cursor on the image to see a close up of the upper left portion. In later years this area of Tampa saw much change with the arrival of the interstate and public housing projects during the 1950s. The neighborhood became home to many poor families struggling to make ends meet. The Favata family was dedicated to the neighborhood, allowing customers to fill their shopping carts with just a signature on an IOU tablet by the register. During the civil unrest that shook Tampa in June of 1967, violence enveloped the neighborhood when civil rights protestors took to the streets, burning cars and smashing store windows. When the smoke cleared, Joe & Son’s Market appeared completely unscathed. The locals all remembered the good deeds of the Favata family and protected the store from harm. It was that charitable philosophy that allowed the little store to flourish for nearly 40 years with three generations of the Favata family operating the business. 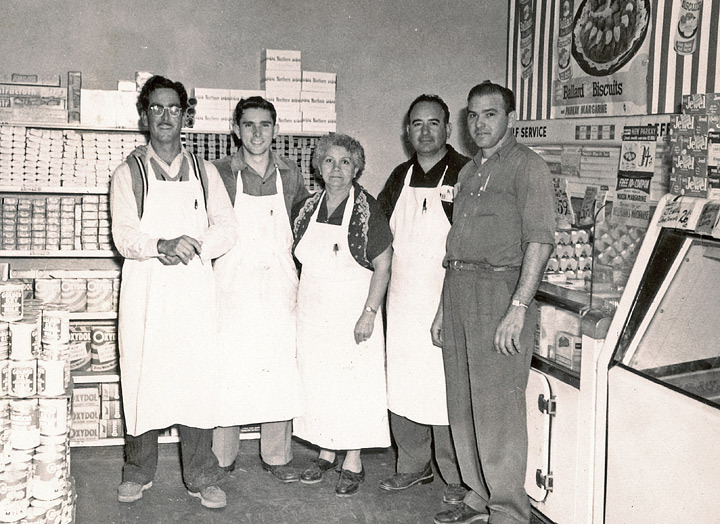 Mary Favata and her son, 2nd from the right, John Favata, along with store employees in 1955. After Joe’s death, his son, “Mr. ﻿John,” his wife and their children, kept the store open until 1976. Four generations after Joe Favata immigrated to America, his great-granddaughter, Andrea Messina Gebbia, her husband Chris, and brother Michael, reopened the legendary family business, as "Joe & Son's Olive Press" on Bay to Bay Blvd. in Tampa. Favata family photos courtesy of Marilyn Favata-Messina. Some Favata family story elements courtesy of Johnny Cinchett of "Tampa Vintage Storefronts & Scenes"